Black Parade - 00&apos;s Emo Anthems is coming back to The Maze Nottingham on Friday 21st June. 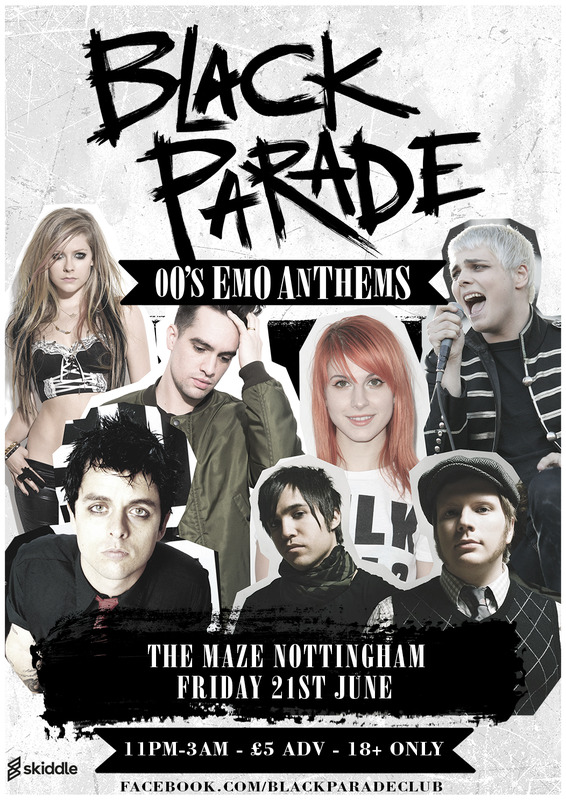 Black Parade - 00's Emo Anthems is coming back to The Maze Nottingham on Friday 21st June for a huge emo party! The UK's biggest emo night! Celebrating old school emo anthems from My Chemical Romance, Paramore, Taking Back Sunday, Fall Out Boy, Panic! At The Disco, The Used, All American Rejects, Jimmy Eat World, Enter Shikari, You Me At Six, Hawthorne Heights, All Time Low and loads more.